Cook corn 3-5 minutes in boiling salted water. Toss with all ingredients EXCEPT the herbs. Add herbs immediately before serving. The epitome of summer. Fresh organic corn salad! That fresh corn looks good; and the corn salad…yummy!! 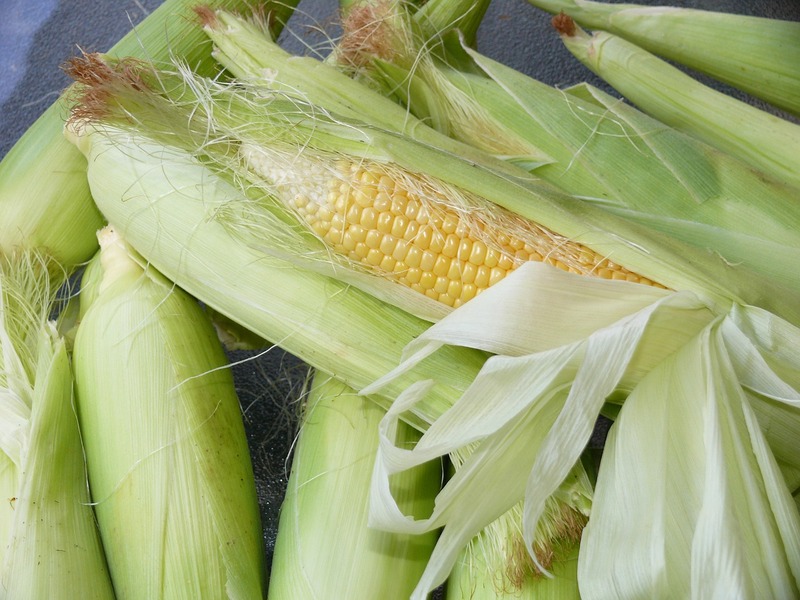 Local, fresh, farm grown corn isn’t available here yet – but when it is…. Our corn is looking like it might make it. The fact we’ve had way too much rain hasn’t affected it so far. This recipe looks good for a cookout. Your Bill would love it! Love! Corn on the cob is one of my fave things in the world. Grandpa used to grow the best sweet corn!